Create and use custom assessments to meet your unique requirements. We’ve been building custom assessments for our client’s specific job requirements since 1998. Whether you leverage our extensive library of content or work with one of our consultants to write new content, we ensure your custom assessment will meet your specific needs. 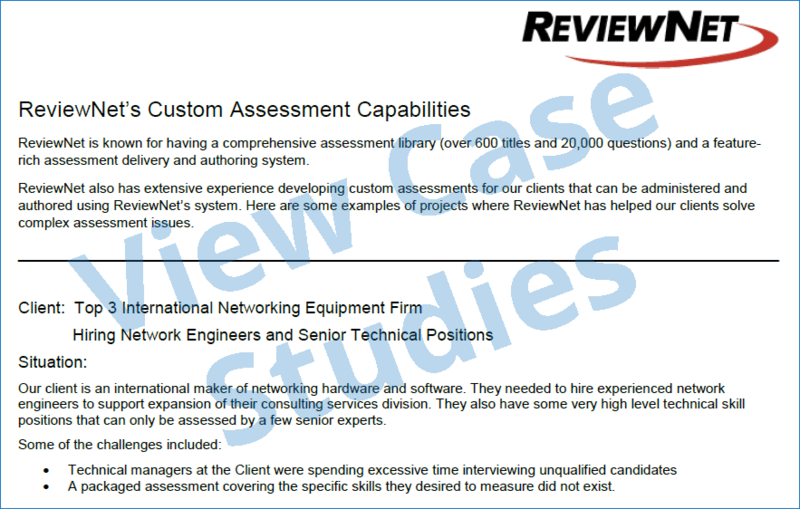 Read about our successes building custom assessments for some of the world’s largest companies qualifying candidates ranging from entry level programmers to senior level Cisco network consultants.